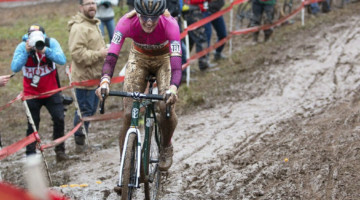 It is no secret that U.S. cyclocross courses have often been described as “easy” by the legions of U.S. racers who have spent time on the premier courses of Europe. 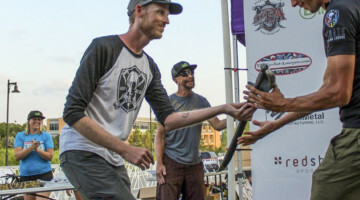 The World Cups in Las Vegas and Iowa City during the past two years have given many of the world’s best riders the opportunity to judge U.S. courses for themselves and by most reports, the grass of Desert Breeze Stadium and the steep slopes of Mt. 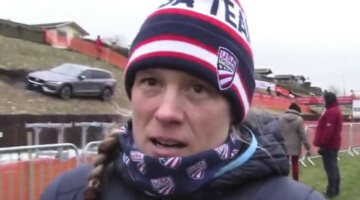 Krumpit have left European riders impressed with the different experiences and terrain U.S. World Cup courses can offer. 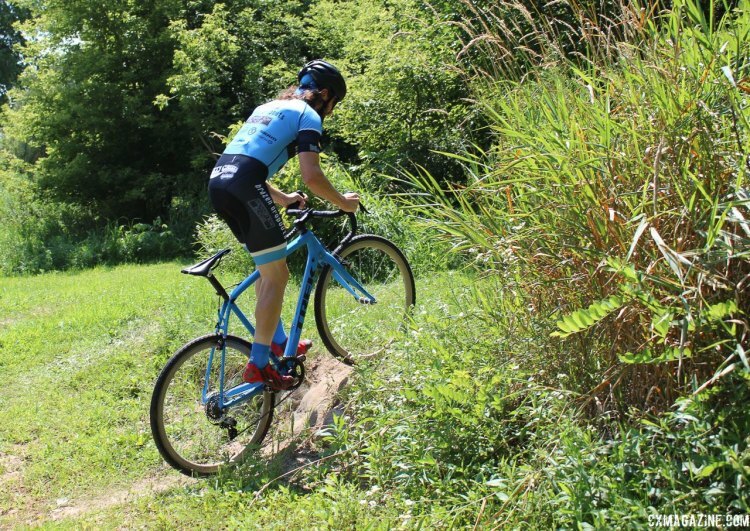 The cyclocross track at Trek Bicycle in Waterloo, Wisconsin, got a test run in 2016 when the Telenet-Fidea team and several other European riders came over to the States early for a pre-Vegas and pre-Jingle tune up at the Trek CXC Cup. 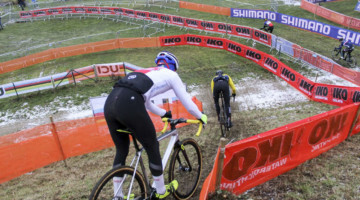 In 2017, the race at Trek is taking the show to the World Cup Waterloo level and will likely face all the scrutiny that comes with hosting a World Cup race. 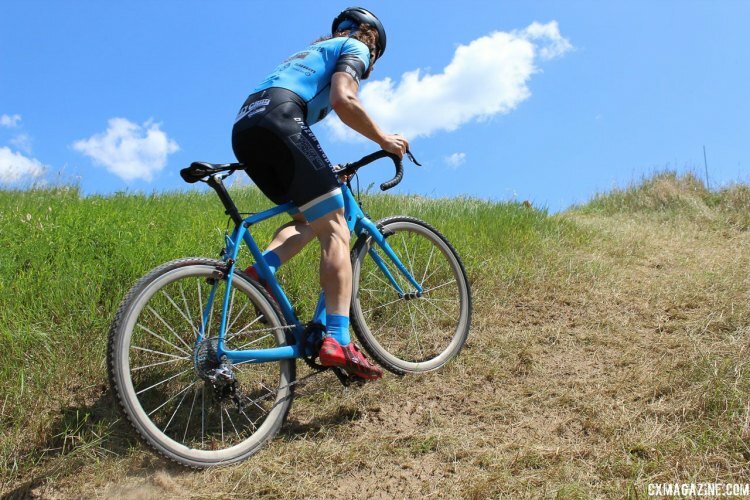 Last week, I headed out to Waterloo to drop in on the Trek employee Tuesday cyclocross practice and get a first look at how the course for World Cup Waterloo is shaping up. 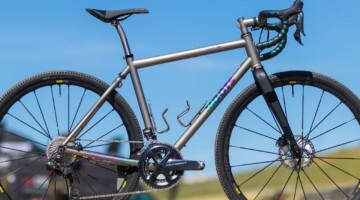 Over the past five years, Trek has made an impressive commitment to hosting a cyclocross race on their grounds. 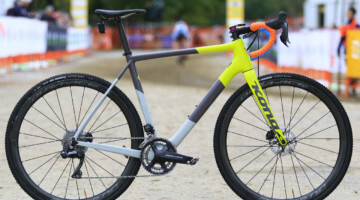 The Trek CXC Cup ran for four years from 2013 to 2016 to pave the way for 2017’s World Cup Waterloo. 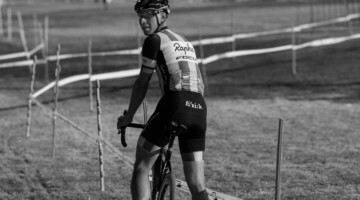 Legend has it that one big moment for Trek’s involvement came in 2014 when Tania Burke, President of Trek Travel and wife of Trek CEO John Burke, raced at the Trek CXC Cup and absolutely loved it. The rest is, as they say, history in the making. Admittedly, this preview may have a tinge of bias since I served as part of race director Renee Callaway’s colony—apparently the word for a group of Badgers—of volunteers who worked on the course and helped make sure the cheese curd coffers were constantly stocked. With Renee spending her free summer weekends on the mountain bike trails of Wisconsin and Michigan’s Upper Peninsula, it was a bit odd being in Waterloo as a journalist and not a volunteer excited just to get an opportunity to pre-ride the course after a hard day of setting course stakes. 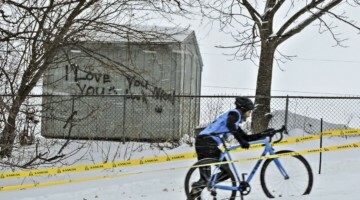 The first edition of the Trek CXC Cup in 2013 was a bit of a last-minute affair after the collapse of the USGP series and the orphaning of the nearby Sun Prairie GP. 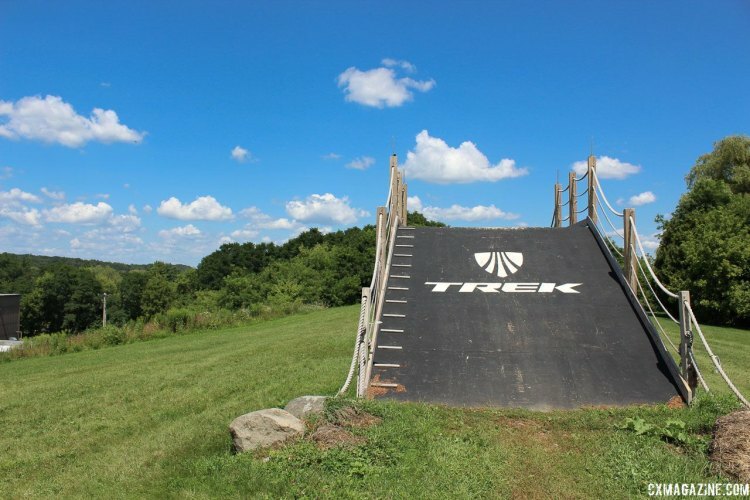 The first Trek CXC Cup course was fit into the space available on Trek’s property and a nearby retention area referred to by volunteers as the “toilet bowl,” and the course was somewhat to ridiculously bumpy. 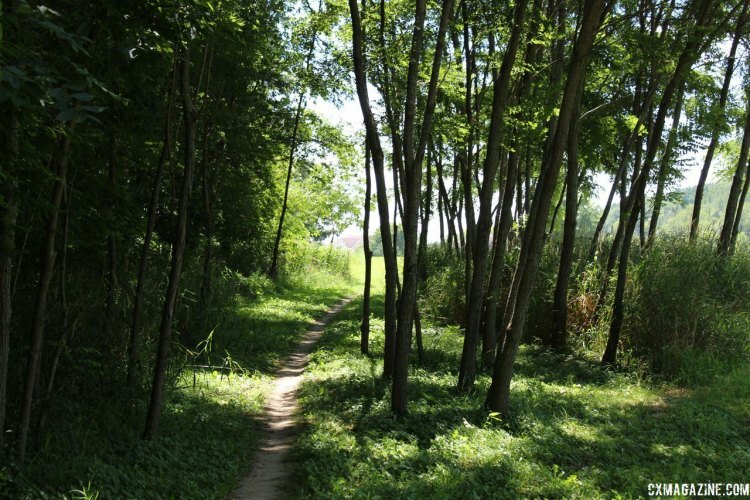 Each subsequent year, Trek worked to expand the room available for the course by purchasing nearby properties and doing trail-building work on their grounds. 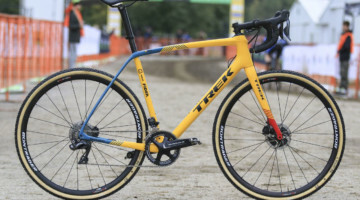 The 2017 World Cup course will likely feature a similar approach as much of the 2016 Trek CXC Cup course I previewed in what turned out to be my first contribution to Cyclocross Magazine. 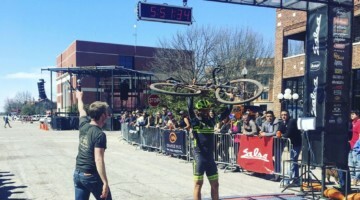 The addition of many of the new features seen in 2016 was directed by Travis Braun, and he is back to head up the World Cup Waterloo effort along with Trek’s Scott Daubert. 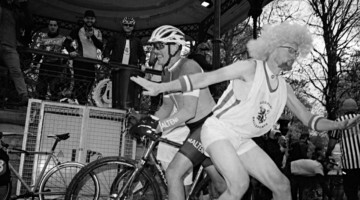 Braun is known in the Wisconsin ’cross scene for designing the courses for the Wizard and Booty Cross races at Heistand Park in Madison that were historically hilly and challenging enough to generate frequent lamentations from riders. 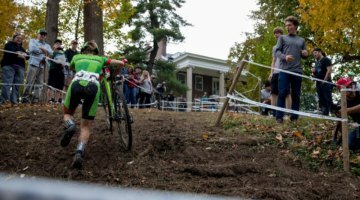 Needless to say, the grounds at Trek are likely in the hands of someone who knows how to make a challenging cyclocross course. Despite its location, the Trek property features a decent amount of elevation difference, even if it is not as striking as Mt. Krumpit in Iowa City or the Citadel at Namur. 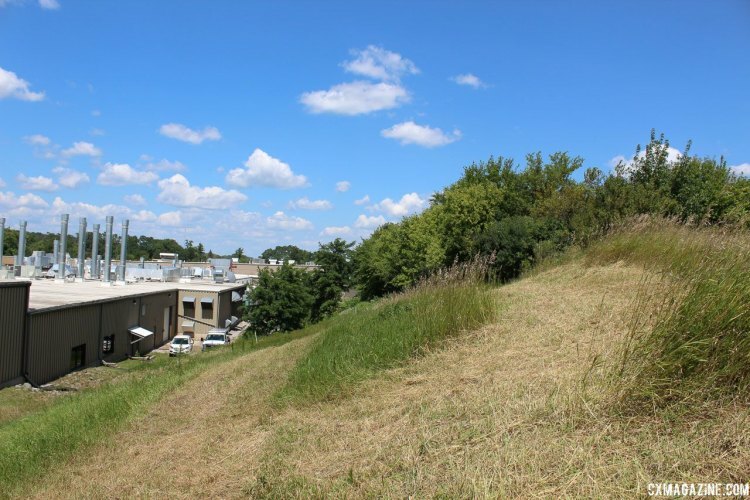 There is a very steep hill that runs parallel to the Trek factory, and the main part of the property features a more gently-sloping hill that runs north-south and crests where the flyover has been strategically situated to tower over the cyclocross course below. Not surprisingly, these hills are likely to play a major role in elevating the course to a World Cup caliber. 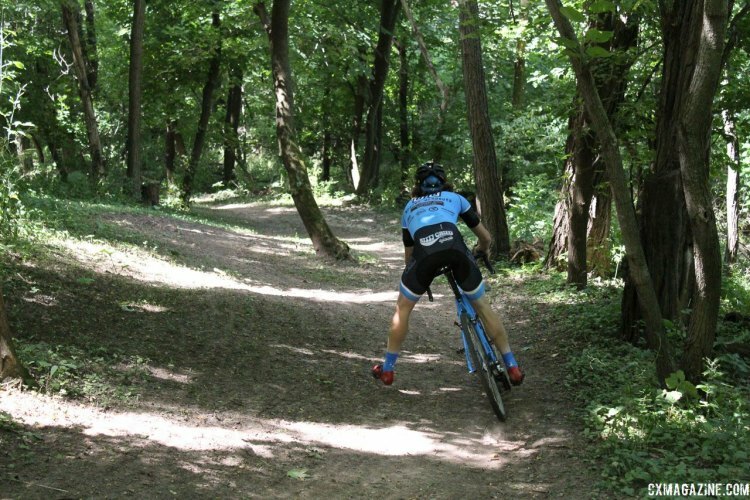 The steep hill near the factory, appropriately named the “Trek Factory Hill,” has historically been a spectator favorite on the course, and the woods in the northwest corner of the property are where many of the course’s technical features are located. 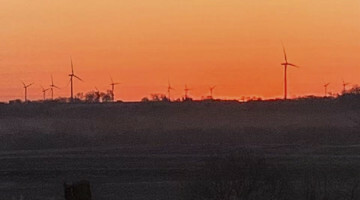 Brook Watts described the plucky, can-do attitude of Midwesterners and they are also known for being Wisconsin Nys, so I was able to secure some tour guides for this course preview. 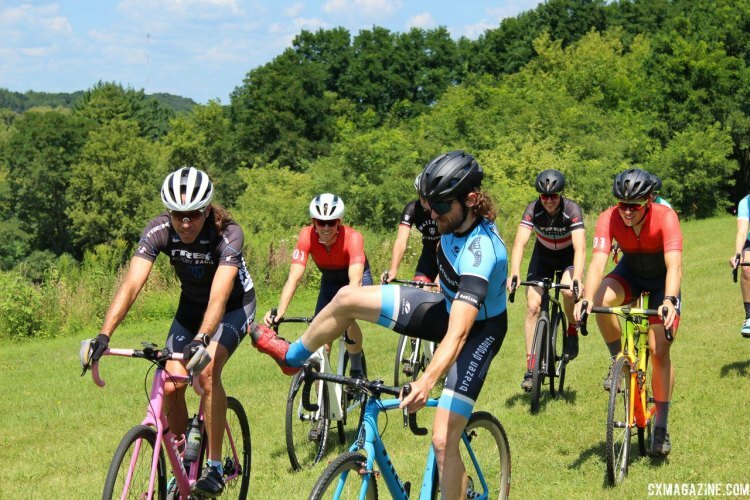 Kyle Russ, known locally as “The Nicest Man in Cyclocross,” and his Sagan-like beard and locks agreed to be my photo model and Bryan Fosler, who you may remember from such preview videos as the CrossFit Cross video, and Tim Hartung agreed to ride sections for the video cuts. 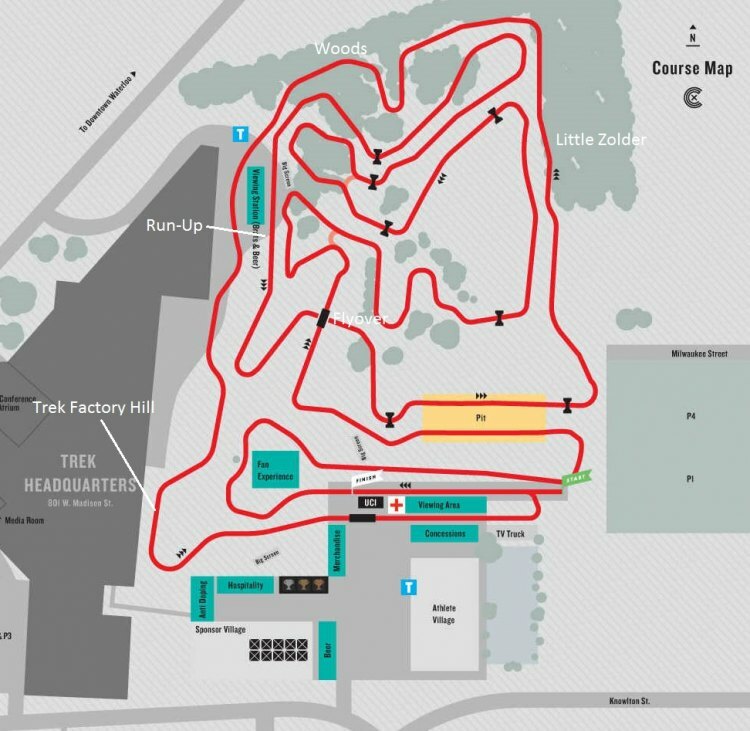 Earlier this summer, Trek released a rough layout of the course, which I have annotated with key features. 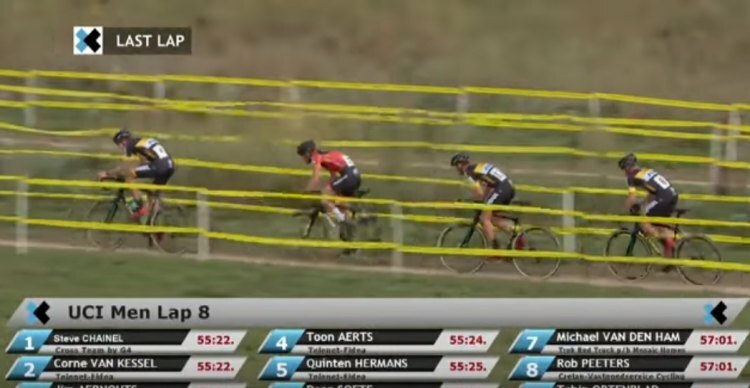 Also, this corner, or one similar to it, may have been where Jeremy Powers suffered the rib injury that impacted most of his 2016/17 season. The end of the fast start comes via a false flat that heads up to the flyover. Like last year, the flyover is the gateway to the technical sections in the woods, so this will definitely be a part of the race to keep an eye on as the riders vie for position heading into the steep wooded sections. The woods in the northwest part of the course feature several steep descents followed by ascents back up the hill. Trek’s trail crew has worked for several years in this area of the property to add paths with a technical, single-track feel. 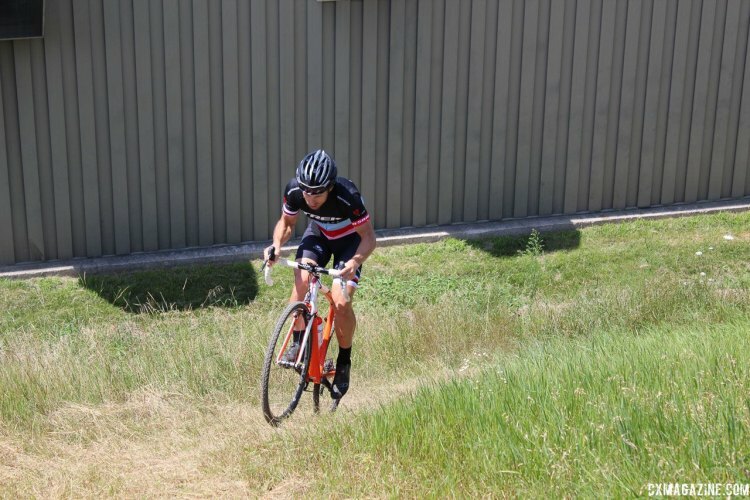 One of the new climbs weaves up the hill before kicking up steeply before the crest. Kyle made sure to point this one out to me and was nice enough to ride it a couple times, despite its loose, steep nature. This video shows Kyle, Bryan and Tim attacking the hill several times. You can see that can-do Midwestern attitude in action. One change from 2016 is turning a steep climb into a fast, steep descent. Another of the features that dates back to 2015 is the famed “Loathing Dock” run-up located near the factory loading dock. 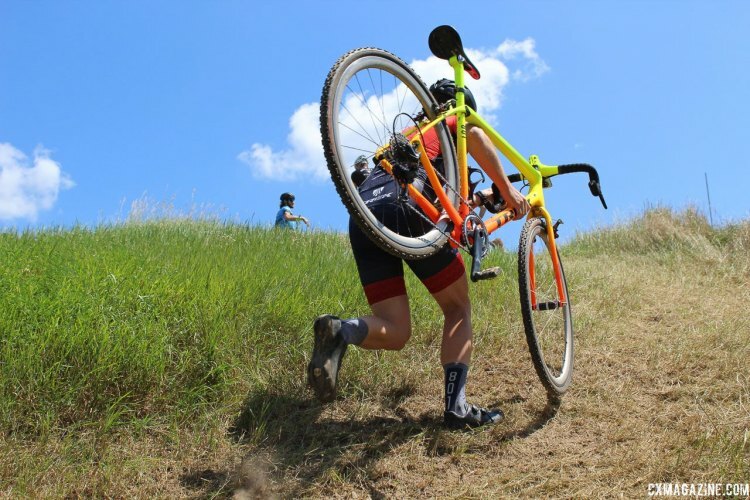 We crave course features that force all riders to make decisions and manage risk, and this area should deliver such dilemmas. In 2015, there was a decent lead-up heading into the Loathing Dock feature, and yet only Troy Wells was able to ride it. In other words, it is a very steep. Based on the preliminary course map, it appears riders may be able to carry some speed into the slope, so perhaps we will see it crested on the bike once again. Once riders exit the woods, there are a handful of small technical features to hop over, including some rocks, a set of stairs and this small incline. 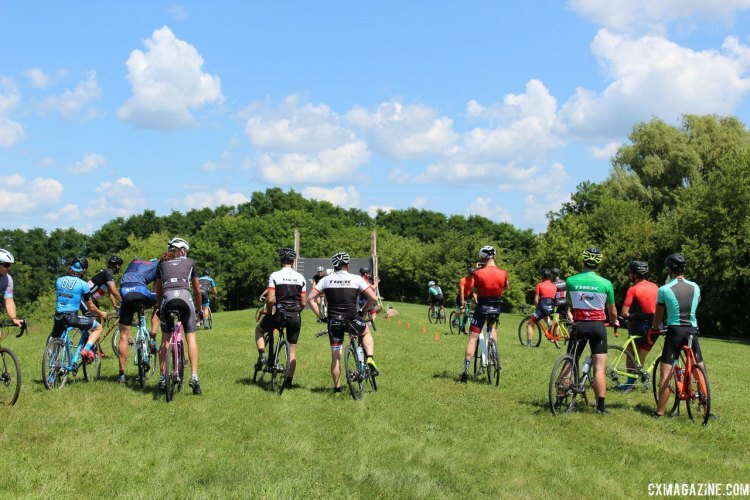 After bidding adieu to the technical woods section, the 2016 course went under the flyover and headed to the east side of the Trek property for what was really more of a drag race. 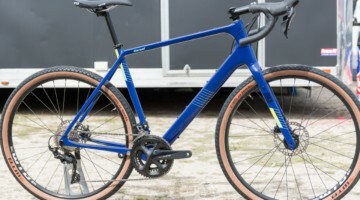 We saw this on Day 1 of the Trek CXC Cup last year, where Steve Chainel took most of the Telenet-Fidea team into the last corner and outsprinted them all to take the victory. 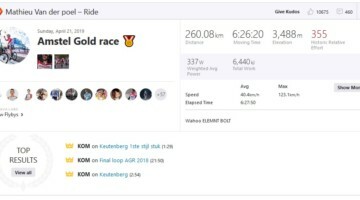 Looking back on the video of that race, it is fair to say the second half of the course was not very challenging and probably could be a bit more inspired. 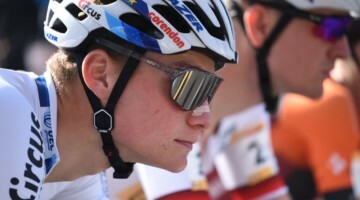 Fast forward a year, and it appears World Cup Waterloo is taking a different approach. 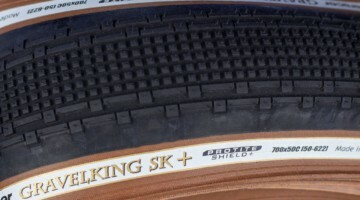 The northeast part of the property features another flatter section of woods Trek employees dubbed “Little Zolder” because of the multiple lines through the section. The World Cup course will be entering Little Zolder from the opposite direction of 2016 and it may only feature one line because riders will be carrying a lot of speed through the narrow openings between trees. 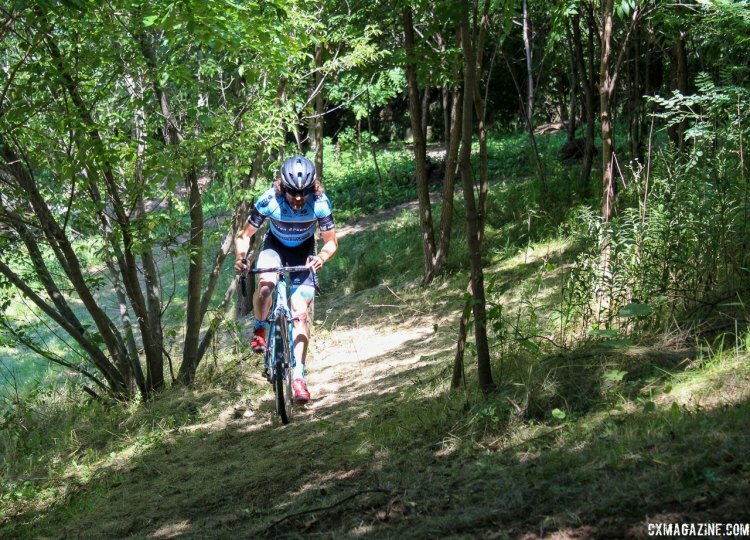 Although tucked far away from spectators, this section is likely to be one of the most fun for riders because after ripping through the woods, they head up a small rise that seems perfectly designed for high-speed travel. 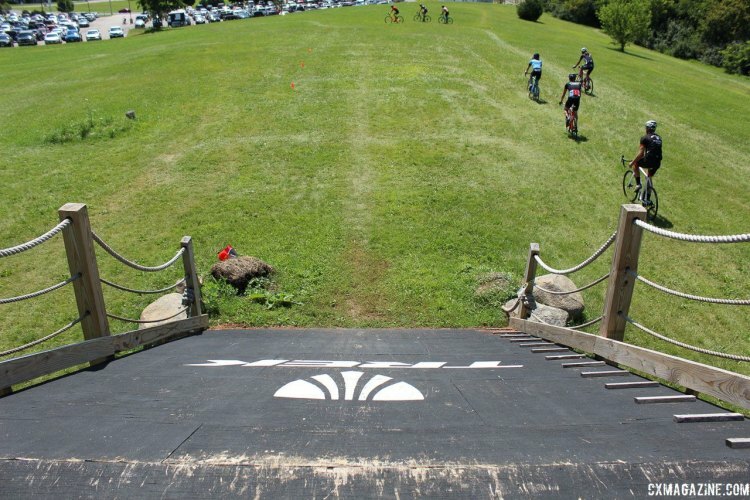 The last feature of the lap is the vaunted Trek Factory Hill. The Factory Hill has historically been near the beginning of the lap, so it caught my eye that the World Cup course has it located right before the finishing sprint. 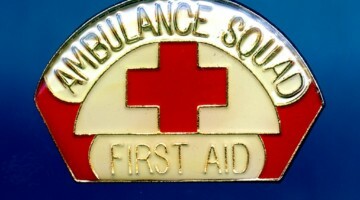 Also, the direction through the section is opposite what it has been in the past. 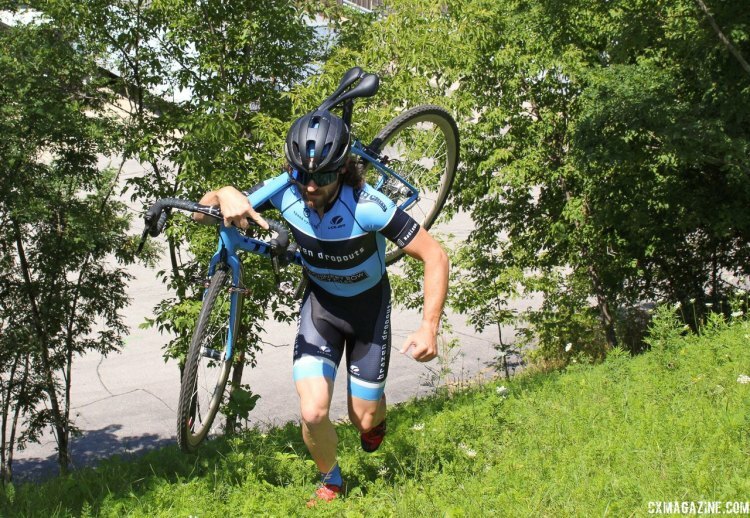 If World Cup Waterloo is to have an iconic section, the Trek Factory Hill seems like the best candidate for that designation. 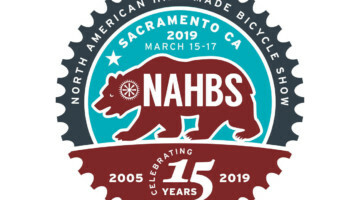 With a steep slope that allows fans to get intimate with slow-moving riders and a location near the expo and team tent area, I would not be surprised if it is packed with spectators as it has been in past years. And then make their way back to the last climb before the finishing straight. A look down at Corey Horning reveals a steep climb. As does a look up at Kyle Russ as he powers his way up the hill. A brief survey of the employee lunch ride indicates this hill is likely rideable by the Elites and Cat 1s and will be a much more dicey proposition for Cat 3s and lower. 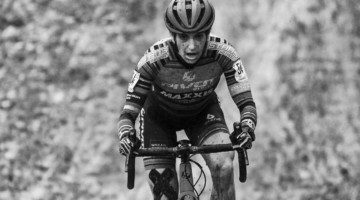 However, given its steepness and the fact the race in Waterloo is due for some inclement weather, it will be interesting to see how the Trek Factory Hill influences the World Cup races. 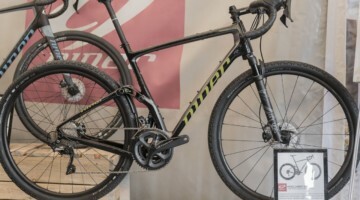 Perhaps it will play a role in the latest iconic battle royale between Wout van Aert and Mathieu van der Poel or be the spot where the “Little Badger” Kaitie Antonneau secures the biggest victory of her career in front of the home-state crowd. We will find out in due time on September 24. By the time the lunch ride reached Trek Factory Hill, we had accumulated a bit more of a demonstration crew. They rode the last incline with varying levels of success. 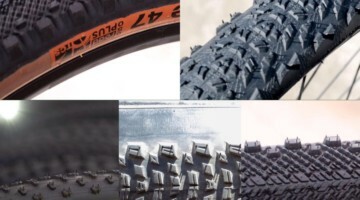 Stay tuned to Cyclocross Magazine for more exclusive coverage of World Cup Waterloo as race day approaches.